The auction of 2015 Dodge Challenger SRT Hellcat #1 with a winning bid of $825k added to the sale of to $1.65 million. This is much more than any other car making such contributions in Barrett Jackson history. Over the past few years, some examples of hot car like the 2015 Dodge Challenger SRT Hellcat have made it to the collector’s car auction. The returns of the auction go to charity. 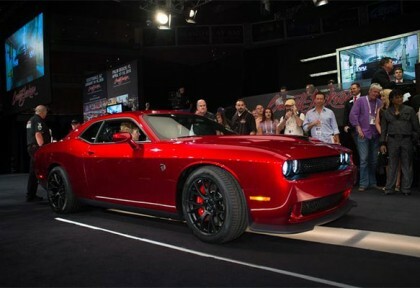 Barrett Jackson auto auction in Las Vegas last week was no surprise as it rolled out the SRT Hellcat. The muscle car was sold for a whopping $825,000 when the concluding gavel sounded. The new shaker hood by Mopar is retailing for US$ 2,660 and promises to deliver a performance boost with a bit of vintage look to the muscle car, Dodge Challenger. The kit, available for purchase at Chrysler Group dealerships and the Mopar official website, contains a shaker induction kit and shaker hood kit. 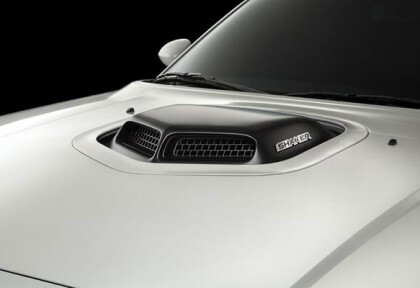 It augments performance by forcing cold, high pressure air through the shaker hood scoop while the car is being driven, feeding a conical air filter. Automakers today are exploring different fields of technology and science that can allow them to introduce better features in their vehicles. Now, Chrysler Group has decided to take some inspiration from human body and that is helping them to design next generation fuel tanks that can power compress natural gas vehicles in the future. Chrysler Group revealed that human body still remains a mystery for science as there are many things unexplained but they are taking inspiration from human lungs that have countless individual sacks called alveoli that combine together to expand lung’s total air capacity. 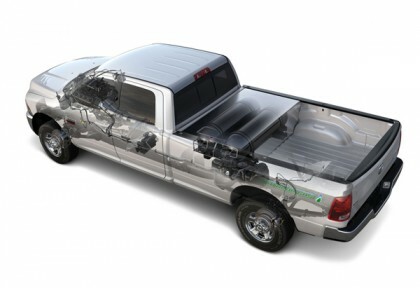 Now, Chrysler is using similar technology to improve the packaging of their CNG tanks in the future.